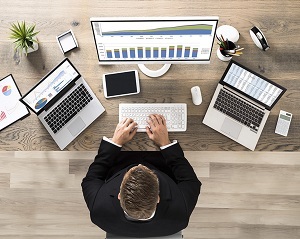 Enerdata in collaboration with I4FC and IFPEN has produced the report named EU ETS: Last call before the doors close on the negotiation for the post-2020 reform. 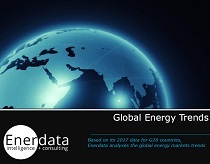 Within the framework of the research program COPEC II, I4CE has produced jointly by Enerdata and IFPEN the report named EU ETS: last call before the doors close on the negotiations for the post-2020 reform. 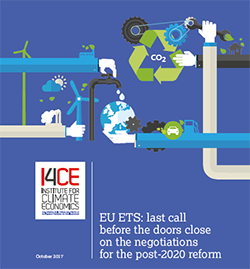 This report aims at providing quantitative assessment of the ETS reform propositions and of other possible evolutions of the EU ETS during its Phase IV (2021-2030) with a long-term perspective until 2040, taking into account the implementation of other pieces of the EU Climate and Energy package. In this report, Enerdata conducted the modelling of energy systems with the model POLES (Prospective Outlook on Long-term Energy Systems), to analyse the macro-impacts of the different scenarios. The revised EU ETS directive will not be sufficient to make the EU ETS a driver of decarbonisation in industry and energy sectors during its Phase IV, unless an unexpected proposal comes out of the trilogue negotiations. 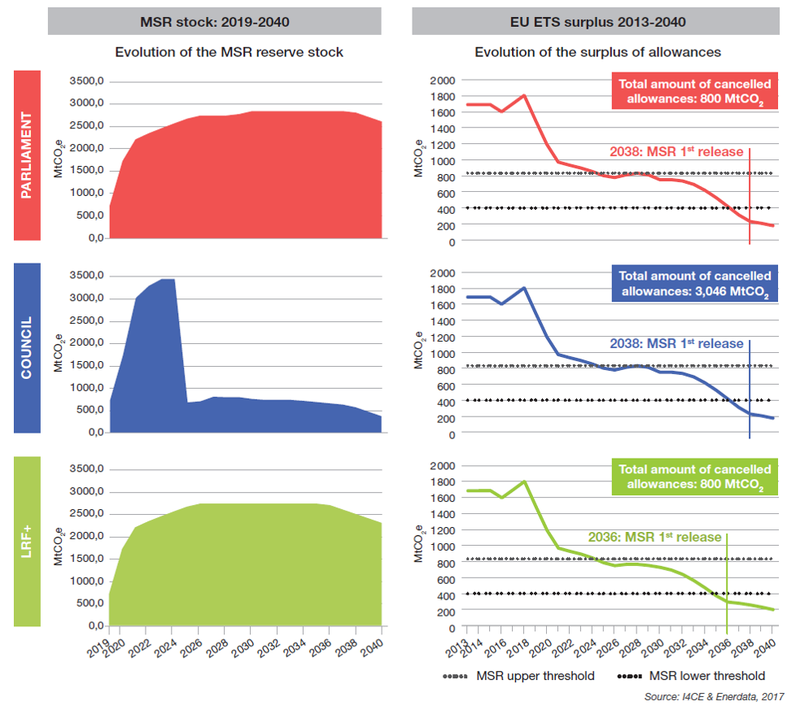 The MSR will not be sufficient to mitigate the interactions of renewable energy and energy efficiency policies with the EU ETS. The implementation of an EU-wide price corridor on the EU ETS would be a solution to the lack of anticipation of ETS operators and would lead to earlier mitigation efforts in EU ETS sectors. The revision of other EU legislations thus appears as an opportunity to create an ambitious and consistent policy mix and manage the interactions between the different policy instruments. In particular, the Governance Regulation, which, as proposed by the EU Commission, aims at ensuring the achievement of EU targets while ensuring policy coherency, could be enhanced to specifically address overlapping policies with the EU ETS. A possible exit of the UK from the EU ETS adds to the uncertainty of the current revision of the EU ETS directive. In that case, careful attention should be paid to the adaptation of the emissions cap and the MSR parameters. 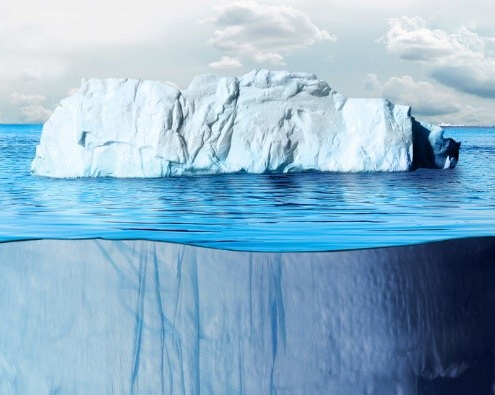 The framework for free allocation to prevent carbon leakage risks in industrial sectors is a focal point in the negotiations on the EU ETS reform. We find that the positions of the Council and the Parliament on the EU ETS reform will probably result in a CSCF triggered at the end of Phase IV, under conservative assumptions for benchmark decrease rates in major sectors covered by the EU ETS (refinery, cement, aluminium, steel). Quantifying the impact of EU ETS design parameters on free allocation enables to evaluate how to avoid triggering the CSCF, keeping in mind that free allocation should not result in windfall profits and was meant to be a transitional tool. If the framework for the compensation of indirect costs in electro-intensive sectors were harmonized across the EU ETS, we find that around 24% of EUAs auctioning volumes would be required over Phase IV to compensate indirect costs in the main eligible sectors. Make your colleagues and friends benefit from this analysis: Last Call before the doors close on the negotiations for the post-2020 reform.